Being able to freely express yourself is one of the best feelings in the world. To be able to breathe in your own skin and do what makes YOU happy is a beautiful thing. Young Thug is the epitome of that expression in hip hop today. On Friday, Young Thug released the mixtape Jeffery where he's wearing a dress on the cover and a lot of internet critics are up in arms about it. Some are stating that the cover is detrimental to masculinity and causing a negative impact to young minds. First, I would like to mention that there is NO direct correlation between wearing a dress and being gay. One does not happen because of the other. Not every man's masculinity is fragile. Second, realize that there is no "agenda" or "bad influence" done on Young Thug's end. Wearing certain clothing doesn't promote a certain lifestyle nor is it Thug's responsibility to be a role model for young minds. And third, I encourage you all to not let your thoughts be limited by religion or ignorance. Allow yourself to be open minded. Don't you want the world to be a safe space for being who you are? Commend Young Thug for being brave enough to express himself AND respect Jeffery because it's opening so many doors for people in the hip hop community- doors that some thought would never open. 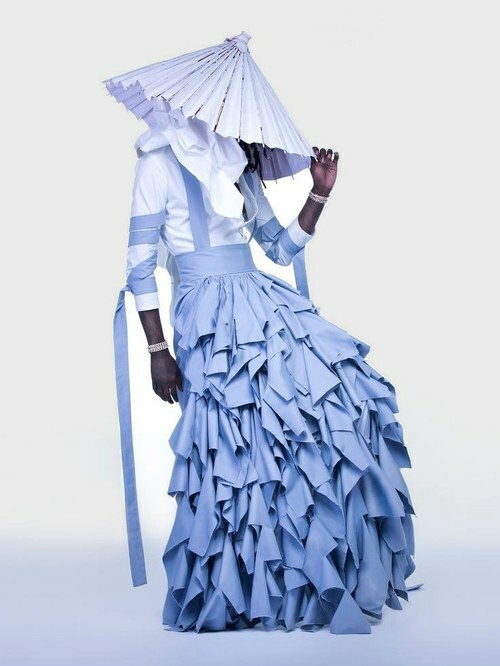 What are your thoughts on Young Thug wearing a dress? Leave your comments below.